The little book that's (really) a BIG reminder to say "thank you" ... to the people who make your life tremendously AWESOME. Give the entire book to someone you adore - or tear out each perforated page, add a personalized note on the back and use it 50 times over. - "BOOM Brilliance strikes again." - "I want to clone you for nefarious purposes." - "You're a miracle machine." - "Your genius would be alarming, if it wasn't so darn consistent." - "Welcome to Awesometown, USA. Population: YOU." Each message is paired with a fill-in-the-blank script on the flip-side, for a personalized "thank you" note. 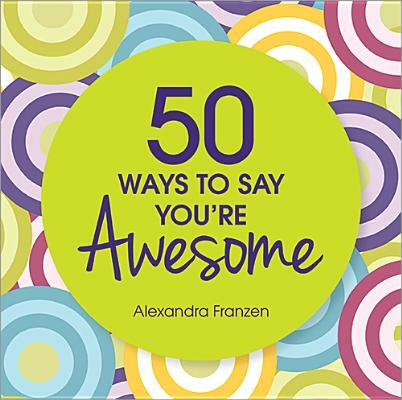 The book also includes an inspiring introduction - "50 Ways To Use This Book" - packed with 50 simple ways to express your appreciation to the people who make your life better, every single day.